Comprehensive prevention, assessment, and treatment of concussion in athletes, civilians, and military members. Dr. Stefanie Podlog is an adjunct faculty contributing to the Master of Health Science in Athletic Training online education program. She has over 20 years of experience as a nurse, educator, researcher, and consultant in the health and injury fields. In parallel to her appointment with the University of St. Augustine, Dr. Podlog serves as an injury and health consultant in the private sector. Dr. Podlog has earned a Masters’ degree in injury prevention and rehabilitation at the German Sport University Cologne. In 2011, Stefanie moved to Salt Lake City, Utah to pursue research opportunities at the University of Utah. From 2011-2014, she was employed as a Research Associate in the Department of Exercise and Sport Science, where she conducted research focused on biomarkers and sport-related concussion with NCAA Division I athletes. In 2014, she completed her doctoral research in Exercise and Sport Science at the German Sport University Cologne, studies that she initiated prior to her departure to the US. 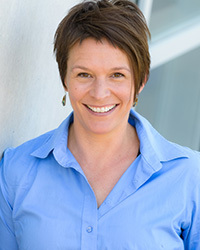 Subsequently, Stefanie pursued a Post-Doctoral Fellowship at the National Center for Veterans Studies, in the Psychology Department at the University of Utah. During her doctoral and post-doctoral work, Stefanie primarily focused on military concussion. She has published her research in many of the most formative sports medical journals and has co-authored numerous book chapters. Dr. Podlog has significant experience as an educator for online and face-to-face teaching at national and international Tier 1 universities. She was a lecturer for six years at the German Sport University Cologne and at the University of Utah, where she taught numerous classes in areas covering human physiology, strength and conditioning, and introductory courses to movement science. As a Research Associate in the ESS Department at the University of Utah, she transformed ESS 2500 “Exploration of Movement Sciences” from a residential course to a hybrid class. In addition to her considerable research and teaching experience, Dr. Stefanie Podlog worked as a Registered Nurse specializing in cardiovascular surgery for nine years at Saint Vinzenz-Hospital in her native city of Cologne, Germany. She was also the Program Director for the employee health program at the German Sport University Cologne, the largest Sport University in Europe. Dr. Podlog also has substantial consulting experience in health promotion, and sports medicine in the corporate sector, including work with the German Soccer Association, and Germany’s largest logistics company Deutsche Bahn.